May 17, 2017 May 16, 2017 / J.K. The subtitle of this book is really illustrative of what this book is about. It is an introduction to doctrine for Christians, more specifically reformed theology. This is probably the best intro book I’ve ever read. You won’t get the full intro that you’d need to tackle Systematic Theology, there is no doctrine of church, sacrament, eschatology, etc., but his chapters on man, sin, grace, election/adoption, justification, and christian living are possibly unmatched in their accessibility to the average Christian. I’d highly recommend this book for anyone looking to understand more about doctrine, to go above a Sunday School level, and it may even work as a gateway book into deeper study of theology. 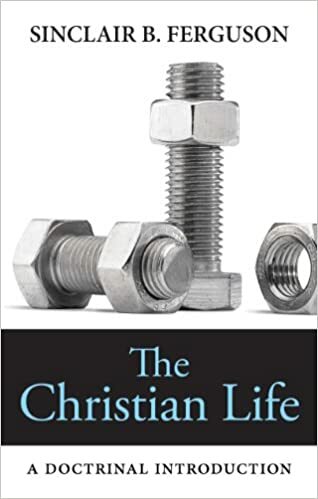 Ferguson was a theologian and professor, but this book is written by a pastor first and foremost and can easily be read by any Christian at any level of education and knowledge. If I’ve somehow been unclear, I’m really high on this book. Clocking in under 200 pages but with 18 chapters, anyone can hope in and out of the different doctrinal chapters with ease. As I mentioned above, this is a great intro for anyone looking to expand their knowledge. It is also a great reminder to pastor and theologians of the basics of doctrine. A way to bring those who greater knowledge back down to a simpler level, a more concise study of what others need to know. This is written almost as a series of sermons and could be a great book for a Bible study or community group looking for something to read. For pastors and elders in the church, this should be the go to suggested reading for anyone inquiring about doctrine. Overall, it is a must read for every Christian.